Tracks, festivals, lives, interviews… on Bulles de Culture, every day, culture gets out its Music bubble. Like rock, jazz has seen a lot of musicians dying young like Charlie Parker or Charlie Christian. But most of them became very famous. 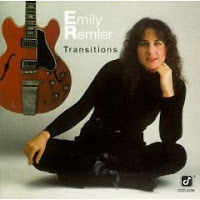 That was not the case for Emily Remler who died at 32. She was a truly exceptional guitarist who studied in the Berklee School and then succeeded in making her own place in the very male orientated world of jazz guitar.